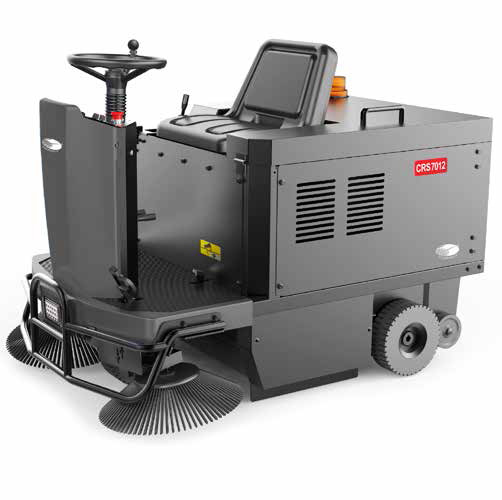 The CRS 7012 is a compact ride-on sweeper suitable for sweeping medium sized areas.The vast majority of ride-on professional sweeping jobs demand a machine that is compact, manoeuvrable and reliable. CRS 7012 represents simplicity and robustness in its sophisticated form. Recommended for factory warehouses, Car parks and outside areas such as parks and gardens.